Put oven rack in upper third of oven and place a shallow baking pan (or a jelly roll pan) on rack. Preheat oven to 450*. 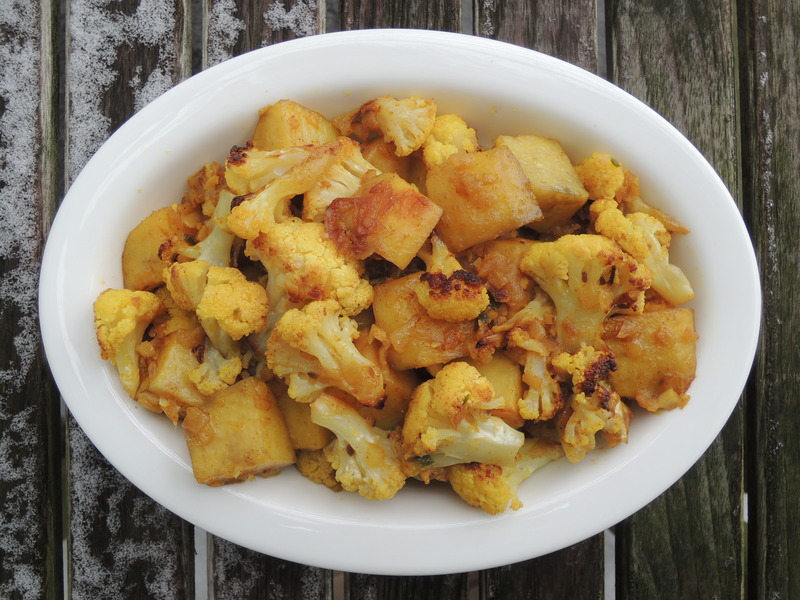 Toss cauliflower and potatoes together in a bowl with 3 tablespoons oil, cumin seeds and ¼ teaspoon salt. 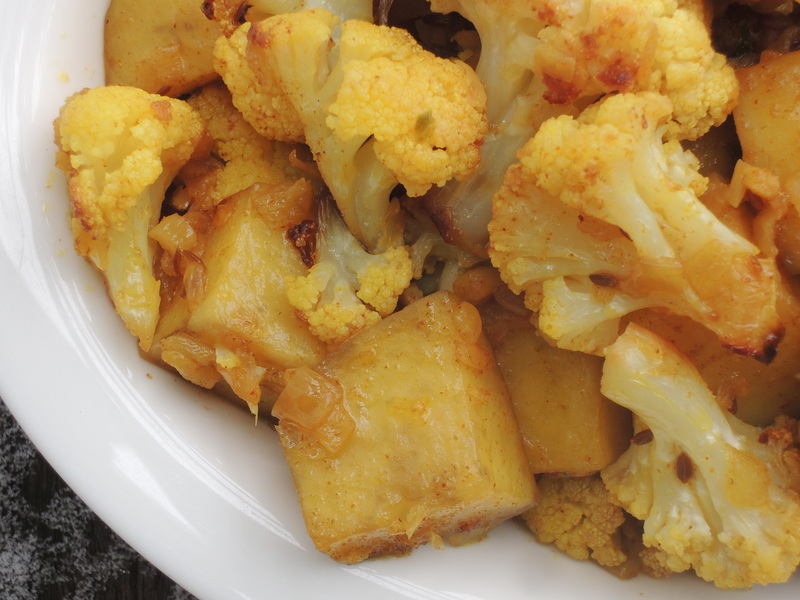 Spread in hot baking pan and roast, stirring occasionally, until cauliflower is tender and browned in spots and potatoes are just tender, about 20 minutes. While vegetables are roasting, cook onion, garlic, jalapeno and ginger in remaining 2 tablespoons oil in a 12-inch heavy skillet over moderate heat, stirring frequently, until very soft and beginning to turn golden, 8 to 10 minutes. Add ground cumin, coriander, turmeric, cayenne and remaining ½ teaspoon salt and cook, stirring constantly, 2 minutes. Stir in water, scraping up any brown bits from bottom of skillet, then stir in roasted vegetables. Cook, covered, stirring occasionally, 5 to 10 minutes.